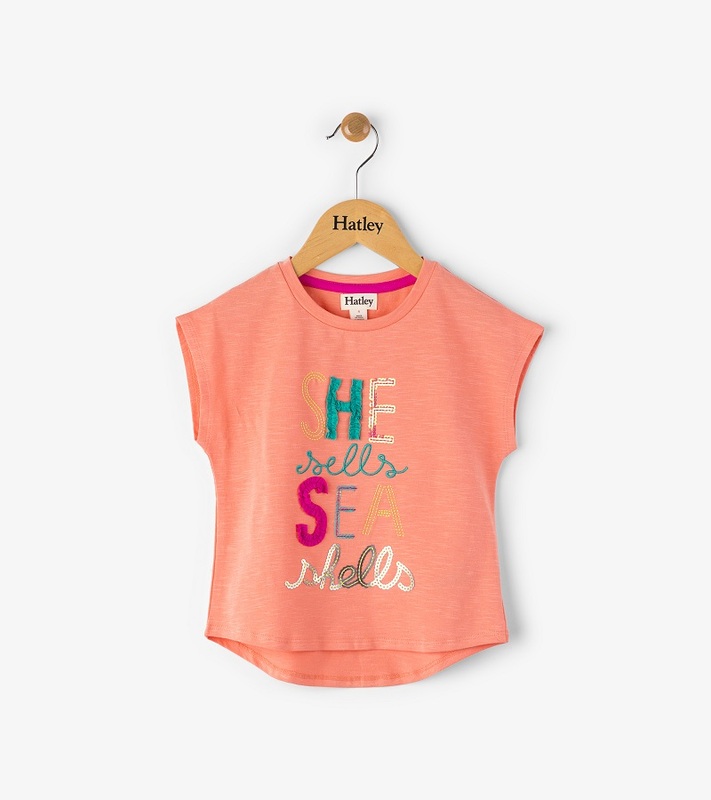 This cute shirt features embroidery, contrast stitching, and applique letters that read 'She Sells Sea Shells'. Fun coral color with contrasting colors, cut-off sleeves, and drop back hem. 95% cotton/5% spandex by Hatley.